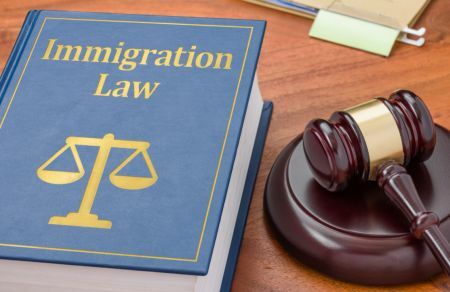 The ABA published a 300-page report in 2010 on the immigration adjudication system and how to reform the court with proposals to promote independence, fairness, efficiency and professionalism. The 2019 update report makes similar recommendations. The new ABA report, which is 176-pages, focuses on the issues relating to the four major government entities involved in immigration adjudication – the Department of Homeland Security, immigration judges and the immigration courts, the Board of Immigration Appeals (BIA) and the federal circuit courts that review decisions – as well as matters of representation in removal proceedings and system restructuring. Two of the major systemic issues the immigration courts suffer from, according to the ABA, are wide disparities in asylum grant rates among immigration judges and public skepticism and a lack of respect for the immigration court process. The Article I court the ABA recommends creating would be an independent system established under Article I of the Constitution to replace the entire Executive Office for Immigration Review (EOIR), including the immigration courts and Board of Immigration Appeals, which would include both a trial level and an appellate level tribunal. You can read the full report here or the shorter executive summary here. Melissa Boughton, Courts and Law Reporter, joined N.C. Policy Watch in September 2016. She covers local, state and federal courts and writes about key decisions that impact the lives of North Carolinians. Before joining the project, Melissa worked the crime and courts beats at The Post and Courier in Charleston, S.C.; The Winchester Star in Winchester, Va.; and The Kerrville Daily Times in Kerrville, TX. While reporting in Charleston, she covered the Emanuel church shootings and the police killing of Walter Scott. She was part of the team that was named a finalist for the 2016 Pulitzer Prize in breaking news reporting for coverage of Scott’s death.